There recently was a Meta Q&A where a discrepancy in the handling of so called "tin-foil hatted" answers was brought up, i.e. answers which claim that e.g. 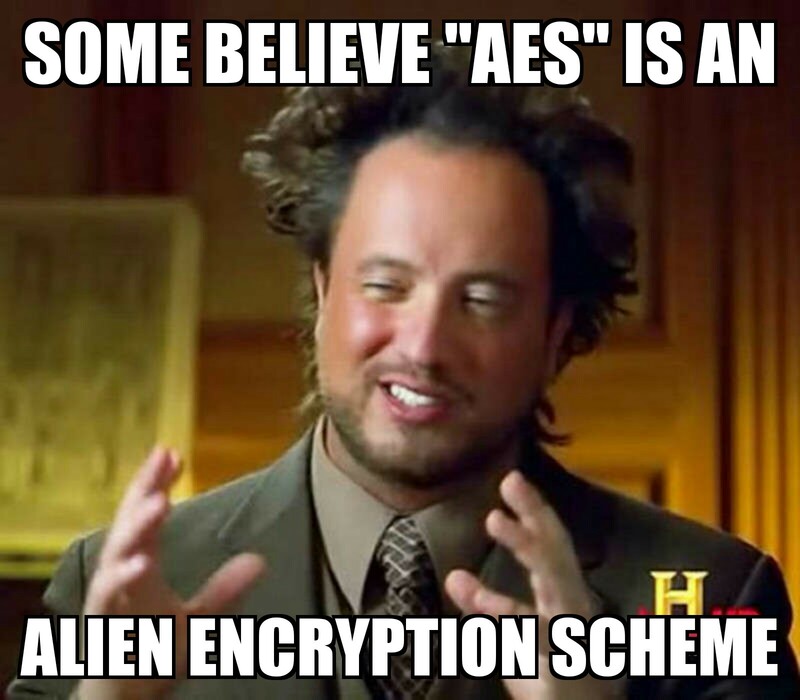 the NSA can break AES easily or answers that the NSA is behind a certain weak cryptography standard. This Q&A has shown that even within the mod team there's no clear consensus on how to handle them precisely, so we'd like to ask you, the community, for guidance on how you want such answers treated. The different approaches will be provided as answers. Please upvote an answer if you feel like this is a good way to handle things, down-vote if you don't like this approach and don't vote on it if you feel neutral. After 14 days, that is on the 5th of april 2018, we will consider the answer with the most upvotes our official policy on this matter. As of now, the highest-voted answer is our current policy in these matters. However it will not be applied retro-actively. Let such answers stay (at the discretion of the poster) if they're not blatantly not answering the question. That is, if an answer even partially answers the question, exclusively using conspiracy theories, it shall stay and be left to down-votes. Not-An-Answer and similar flags on these answers will then be mostly declined. Flags should not be (ab)used to kill incomplete or altogether wrong answers. Remember the mod flag rejection option that says something along these lines — which OP here points to too. Simply killing a conspiracy- loaded answer feels wrong as this somewhat contradicts what we usually do (and SE expects from us - as mods - in such situations). As we know from the past, fueling conspiracy by abusing flags with the goal to suppress the related Q&As can and will result in weird suspicions targetted at Crypto.SE as a whole. We've been there before. Let's try not to reboot such drama. Remove such answers more likely if they fail other objective criteria. That is, if an answer e.g. only tangentially or partially addresses a question and solely relies on conspiracy theories, it will be removed. Not-An-Answer and similar flags will then be more case-by-case when it comes to declining and accepting. This would have the benefit that we remove most of the "bad" conspiracy theoretical answers, while keeping the ones which would be "really good if they were not based on conspiracy theories". It is then left to the community to appropriately vote on such answers. Of course this has similar implications as the complete removal of such answers when it comes to "outsider"'s perspective on us, i.e. we could expect more accusations to be supporters of the conspiracy, even though there probably would be less than with the full-on approach. Remove such answers more likely if they fail other criteria and convert them to comments on the question instead. That is a question, which solely relies on conspiracy theories to make its point and fails some other objective criteria to be a good answer, e.g. only tangentially or incompletely answering the question, would be turned into a comment under the question. Flags would be decided more on a case-by-case basis again. The implications being that we remove answers that are only based on conspiracy theories and with that the ability to downvote them. But we also take the possibility of them being presented as a valid, potentially good answer. Of course this would be the least likely approach to get us targeted as conspiracy supporters as we keep the content around, just at a different place. This would also mean that we push (partial) answers into the comments. Remove answers which are exclusively relying on conspiracy theories. That is, even if an answer fully addresses the question it will be removed if it solely relies on conspiracy theories to make its point. This also means that all Not-An-Answer and similar flags will be approved on such answers. Of course, this will keep the site "clean" from such conspiracy theories, but then a similar result is achieved using downvotes which hide answers below a threshold score and sort them at the bottom of the page. This would also mean that we as a site are more likely to be a target to accusations of being supporters of conspiracies which may scare away new users.